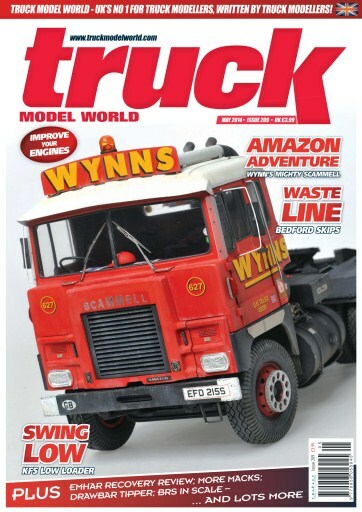 A classic truck and a classic haulier make up our main feature this month – it’s Wynn’s Scammell Crusader, or in this case, the Amazon heavy haulage version. We’ve got a first review of the new Kit Form Services low-loader trailer, and another first – the Emhar Bedford recovery lorry. We conclude last month’s Mack U-series, and the Scania tipper with drawbar trailer, whilst the upgraded Love Machine Mack from Convoy is in its second part. 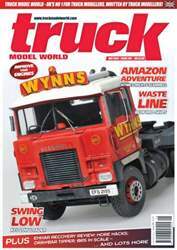 There’s a pair of Bedfords – a skip and a tipper, and in 1:50 scale a modular heavy haulage machine and a look at the Pickfords Volvo low loader from Corgi. We look at the huge range of modelling options from the British Road Services era, and round off with a selection of readers’ models from New Zealand.